Worrying from time to time is part of life for most of us. That's normal. And so is finding yourself ruminating on worries when you feel overwhelmed. Sometimes, it can be hard to focus on anything else. But cognitive psychology research shows that the more we focus on distressing thoughts or worries, the worse we feel. And the worse we feel, the more we worry, and you know how the rest goes. In these moments, worrying becomes a self-fueling cycle that monopolizes our minds and gets in the way of enjoying life and meeting our responsibilities. Here are three strategies to interrupt that cycle. Following them won't eliminate the sources of your distress, but pausing the cycle will give your mind a much-needed break – and reduce your worry's intensity and influence over time. The term "mindfulness" gets a lot of buzz these days, but people in Eastern cultures have practiced mindfulness-based meditation for thousands of years. The goal is to silence your inner chatter by tuning in to what's really happening in the present moment. Beginning practitioners are often encouraged to sit quietly and pay attention to their breathing to train their minds to stay present and focused. This strategy is effective over time. But let's be honest, sitting still and concentrating on your breath when you have been sucked into a tailspin of worry can seem impossible. Instead, try "practical mindfulness" by engaging in activities that require coordinated physical and mental focus to draw you out of your head and into the here and now. Some activities that fit this bill include brain games such as Sudoku or a crossword, meal preparation, or an intense workout. Choose an activity that requires simultaneous attention (like following a recipe) and action (like chopping an onion). It's likely you'll not only interrupt the worry cycle in the moment but also reduce its overall intensity. More often than not our worries center on things that we can't control but really, really wish we could. Many psychologists believe feeling that lack of control is so uncomfortable for us that we worry to try to, literally, think our way out of a problem. Sometimes we do this by trying to find a loophole: If we just think the situation through enough times, we'll find that there's really nothing to be worried about after all. Other times we believe our worry will lead us to a solution. And sometimes our minds think that worrying will prepare us to cope with potentially bad outcomes, enabling us to feel more in control no matter how things turn out. There's a certain logic to this kind of thinking because if there's a loophole, solution, or way to cope, of course we'd want to find it! But when we are swept up in worry those efforts to control actually make us feel worse in the end. Instead, exerting our influence over things we can control will help. Engaging in a project that you are in charge of – even something as simple as cleaning out a closet, planning an outing, or painting your fingernails – can temporarily pause and ultimately de-escalate the helplessness and cycling worry that feeling out of control can trigger. While the first two steps can interrupt and slow the worry loop effectively, they require time. If you need immediate relief from worry, consider making a date with yourself to worry later. Trying to completely suppress worry usually increases it. So resist the urge to say, "I'm not going to think about my daughter's school admissions test," and instead consider, "I can think about this as much as I want tonight between 8:00 and 9:00." Then keep the date. Giving yourself a designated window to process your concerns helps to pause your worry and frees you up to focus on other responsibilities or activities, reducing the intensity of your worrying overall. 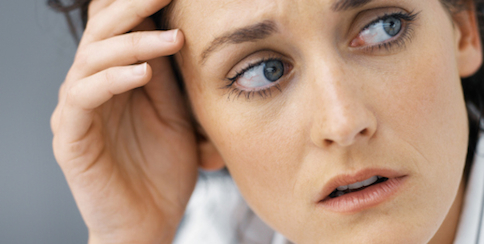 Occasional stressful periods are an unavoidable part of life. But by understanding why you worry and caring for yourself in an active way, you can minimize the impact of worrying in your life. For more self-care strategies to manage worry, I recommend Robert Leahy's The Worry Cure: Seven Steps to Stop Worry from Stopping You. But if you find that self-care strategies are not helping and your worry is getting in the way of meeting your work, family or other major responsibilities or disturbing your sleep for more than a few days, it’s best to reach out to your primary care doctor or a licensed mental health care practitioner for professional support.